Welcome to another Trip Report Tuesday, friends! 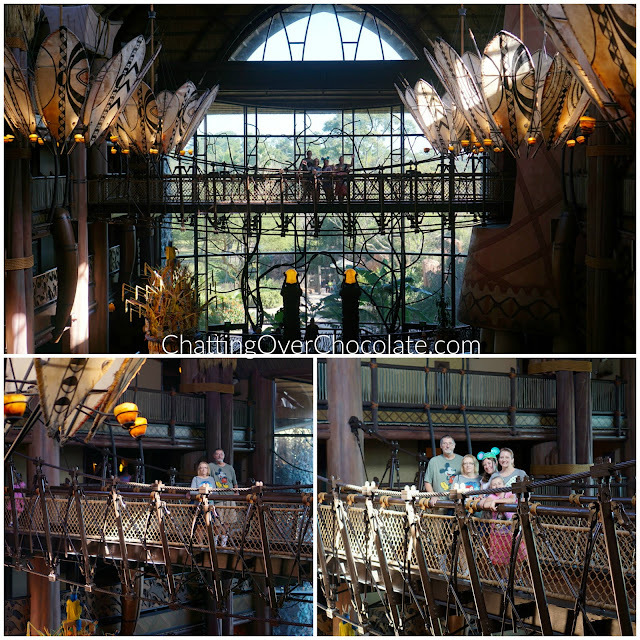 This was to be the last report of this trip, but I'm simply not ready to see it all end quite yet! So, I've decided to split this last day into two parts. 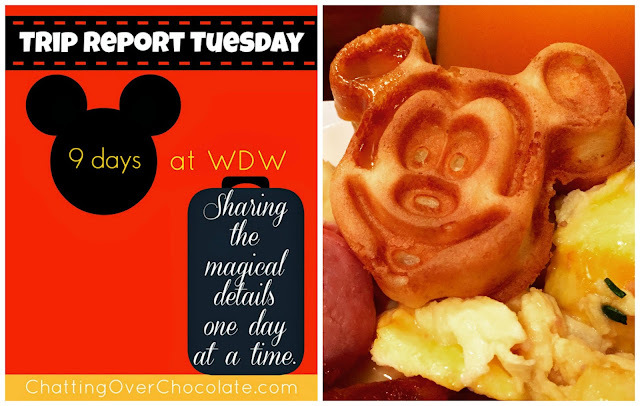 If you've enjoyed a magical Disney vacation I'm sure you understand my desire to make it last (even if only through the retelling of it all) just a teensy bit longer! 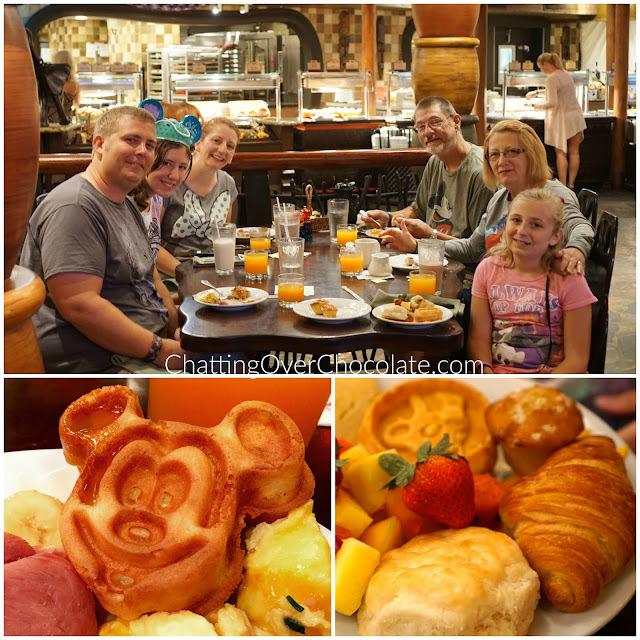 Before long it was time for our breakfast reservation downstairs at one of our favorite restaurants, Boma! We've found special farewell breakfasts make that last morning so much more enjoyable! 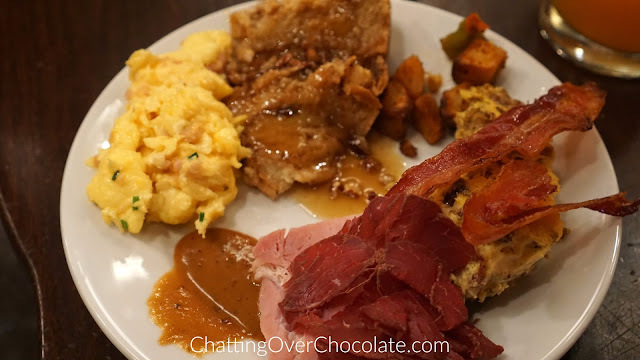 We savored every last scrumptious bite while chatting about the magical memories made throughout our beautiful week at Disney! After filling up on fabulous eats, my parents, girls, and I posed on the bridge while my photographer hubby stood opposite us in the resort's majestic lobby. We crossed this bridge each time we made our way to and from our villa. 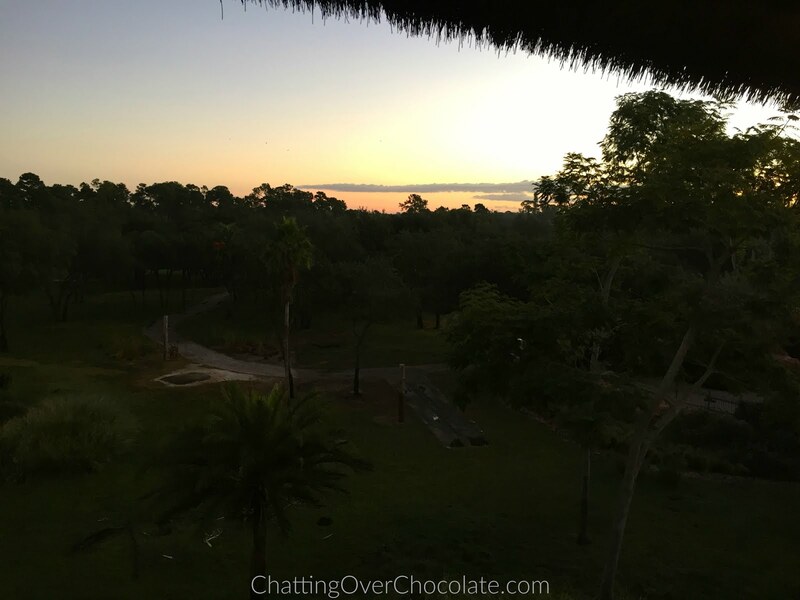 It sure was a beautiful way to take in the loveliness of our Disney Vacation Club home daily! In case you haven't guessed it, we are homesick for that Animal Kingdom Lodge goodness already! Thanks so much for stopping by today! 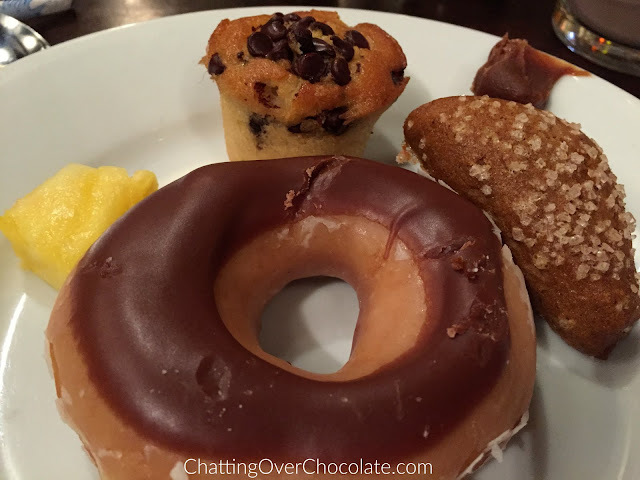 I invite you to return next Tuesday when we'll get to all that Disney Springs shopping! That donut looks UNBELIEVABLE! Animal Kingdom looks fabulous! mmm Boma, great way to end a trip on a high note. I love the bridge pictures. Great idea. I'm not sure we've been on it.